The west entrance at Fort Leaton State Historic Site is located four miles southeast of Presidio, on the River Road (FM 170). 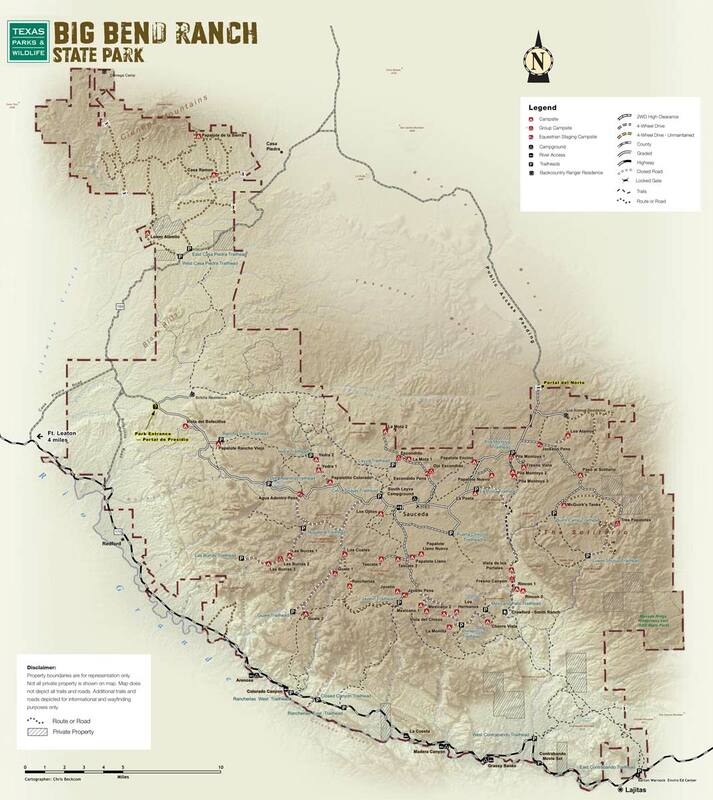 The east entrance at Barton Warnock Visitor Center is located one mile east of Lajitas on the River Road (FM 170). The Sauceda Ranger Station is 27 miles of rugged, dirt road from FM 170. This is the only way in, or out, of the interior of the park. Motor homes and trailers are not recommended. The scenic drive along the River Road (Texas FM 170), following the meanders of the Rio Grande, is among the most spectacular in the nation. Due to road conditions, motor homes and large recreational vehicles may not be able to enter backcountry park areas. FM 170 allows access to small recreation areas along the river and to rafting and canoeing "put-in" and "take-out" points.